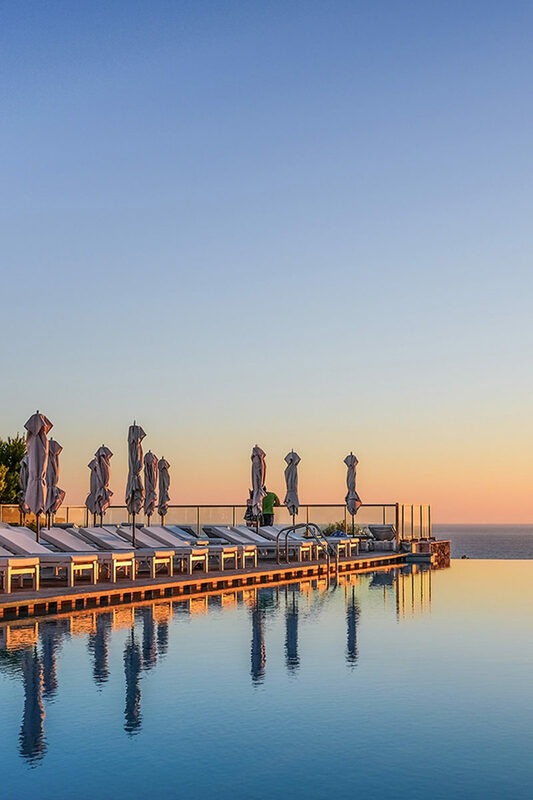 Celebrating its eighth season in 2019, Jumeirah Port Soller Hotel & Spa still epitomises understated luxury on the North Coast of Mallorca. 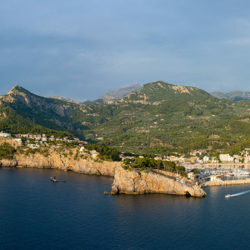 Nestled amidst the Sóller Valley and the UNESCO Heritage Tramuntana Mountain range, this escapist enclave offers unique views over the Mediterranean and the charming town of Port Sóller, whilst having the quaint towns of Sóller, Deià and Valldemossa on its doorstep. The 121 beautifully designed rooms – all featuring a terrace or balcony – offer every modern comfort for the discerning traveller, and spread across 11 low-rise buildings. The internal passageways and lush garden walks feature natural rock and vegetation native to the island, providing a real sense of place. Jumeirah Port Soller is launching exciting new culinary concepts that present a true feast of dining options, including fabulous Spanish Signature Cuisine at Es Fanals restaurant and the Cap Roig restaurant transformed into a ‘Brasserie’. And it will continue with its refreshing cocktails at Infinity Pool and Sa Talaia Pool Bar, as well as the delicious Asian cuisine offered at Sunset Sushi Lounge, an ideal spot from which to enjoy one of the best sunsets on the island. The award-winning Talise Spa is an oasis of relaxation and rejuvenation offering a new generation of spa treatments based on natural ingredients such as oranges, almonds and olive oil. Those looking for authentic, local experiences can take advantage of the Unique Experiences programme and discover the special culture, cuisine, scenery and produce of the island. From idyllic sunset boat trips to exclusive helicopter tours and unique hiking experiences, guests will be able to take home stories to last a lifetime. Jumeirah Port Soller Hotel & Spa’s top-class facilities and impeccable service are combined with its culturally connected ethos. From the locally sourced olive oil to the freshly squeezed oranges from Sóller guests are welcomed with, every small detail is designed to inspire and stimulate all the senses.The hotel’s sense of place is further enhanced by ‘The Art Experience’, including 400 art pieces inspired by nature and local landscape and produced by a dozen Mallorcan artists. “We offer our guests the essence of Mallorca”, says General Manager Jordi E. Tarrida.